Victor Manuel García studied at the San Alejandro School of Fine Arts with Leopoldo Romañach. 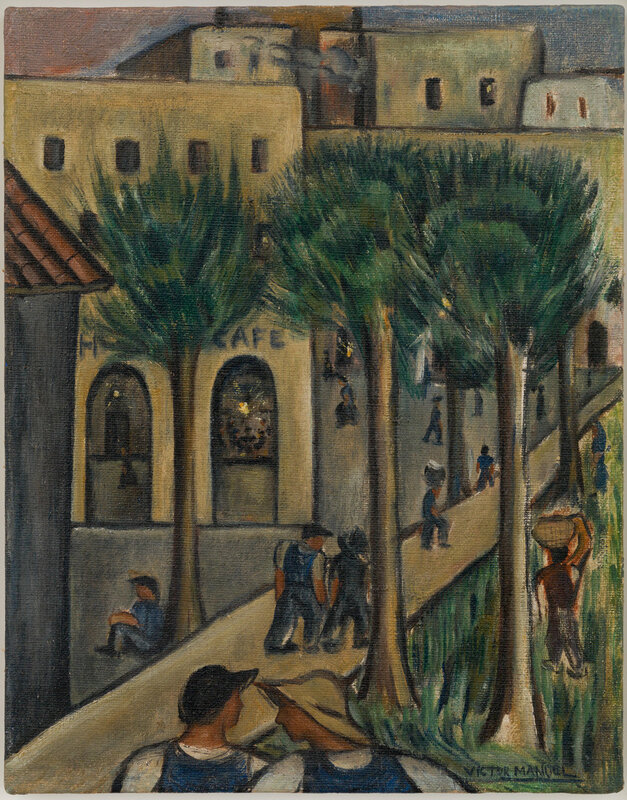 His first solo exhibition was held in 1924 at Las Galerías in Havana. He travelled to Europe for the first time in 1925, and it was in Paris that he was introduced to classical painting, particularly the work of early Italian masters, and also made contact with Post-Impressionist and Modern painting. These experiences caused him to transform his style, and he gradually began to abandon his academic training. He returned to Cuba in 1927, the year of two major exhibitions: a solo show in February and the Exhibition of New Art in May, which marked the birth of Modern painting in Cuba. From that point on he was regarded as a major voice in Cuban art, not only for his artistic practice but also for his work as an educator of young artists. In 1929 he returned to Europe, travelling through Spain and Belgium before settling in France. In Paris he painted the monumental Gitana tropical (Tropical Gypsy), which has become emblematic of his work. By the time he returned to Cuba he possessed a unique and unmistakable personal style, encapsulated by two themes, women’s heads and Cuban landscapes, which he continued to feature in his work throughout his life. He won awards in the 1935 and 1938 editions of the National Salon of Painting and Sculpture. In 1959 the annual Salon paid homage to him with a retrospective of his work. In 1964 he began to exhibit work in a new medium, lithography, which he created at the Experimental Graphics Studio at the Cathedral Square in Havana. Muchacha en verde (Young Lady in Green), 1958. Oil on linen. Framed: 36 1/2 x 32 x 2 in. Camino al Café (The Way to the Coffee Shop), ca. 1930. Oil on canvas. Frame: 26 1/2 x 23 1/2 x 2 in.